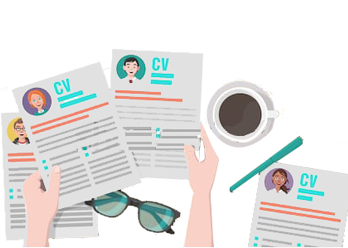 Quick Source is a custom sourcing service for start-ups and small companies that provides screened resume packs customized to their hiring. Based on sample profiles approved by the hiring company, it delivers the required number of profiles needed to close a particular position.It enables companies to save on costs and manpower requirements associated with their hiring while helping them source the best-matched profiles for their regular, niche and super-niche hiring requirements. A customized hiring solution designed to meet requirements of Junior and Senior Management profiles. Delivers hand-picked profiles after verifying availability and readiness to join, all in line with the Job Description for the position. By-passes time and resource commitments needed on companies’ part to hire for niche skills and senior positions. Helps achieve optimal time-to-hire, by sourcing only ready-to-join candidates.